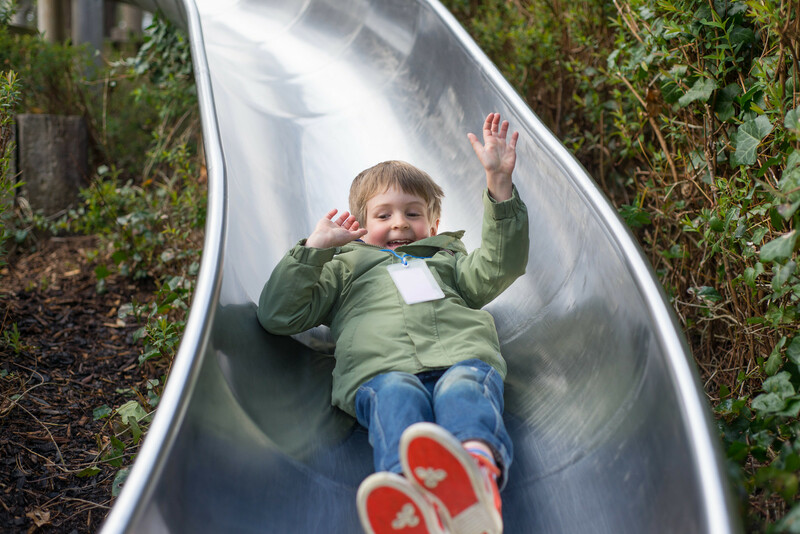 Earlier this year we were offered the chance to be Merlin pass ambassadors and over the Easter holidays we had a chance to take our first trip to a Merlin site, Legoland Windsor Resort. At this point I should probably hold my hand up and admit that I’m a bit of a theme park novice and I can probably count of one hand the number of trips I’ve made to them, so I wasn’t entirely sure what to expect from Legoland. After all it wasn’t that long ago that I thought the entire place just consisted of models built from Lego bricks… and err… It doesn’t! (1) There’s a great view! The spot where Legoland was built is one of the highest sites for miles and as a result one of the first views you see when you enter the gates is an incredible panorama of London. It’s a little bit breezy on a cold day, but it’s a great added attraction to stand at the top of the park and spot famous landmarks in the capital. We found it easy to pick out the Wembley Stadium arch and the Shard even though they are both about twenty miles away. Surprisingly Legoland provides quite a lot of inspiration if you are looking to plant a low maintenance architectural style garden (and we are at the moment!) Jim thinks I’m the only person in the world who walked round looking at the shrubs, but what does he know? There were lots of Flaxes and Bamboo and a lone Monkey Puzzle tree beautifully set in its own lawn. 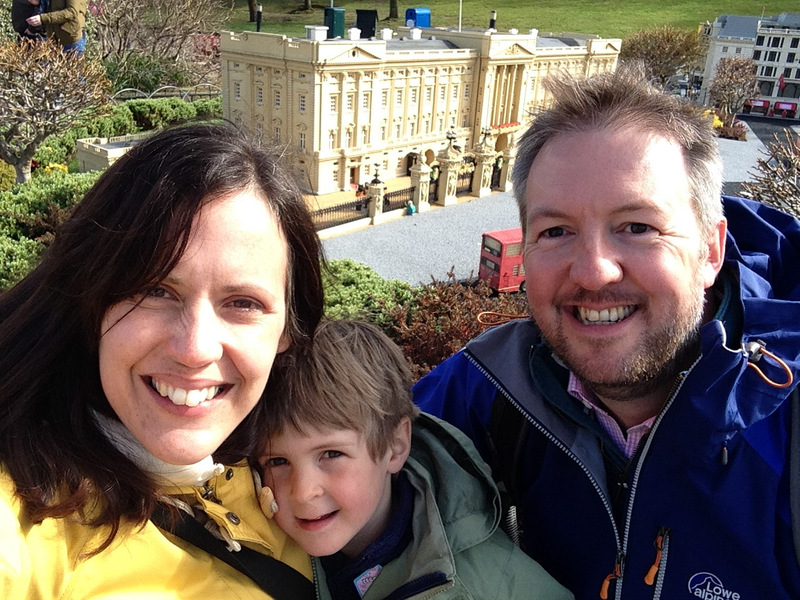 Since we returned I’ve done a bit of Googling and it turns out I’m not alone in admiring the landscaping and there are quite a few blog posts about it and Legoland in Windsor was the first theme park to host an RHS show 6 years ago. Sadly I have come to expect a captive audience to equal overpriced goods, so I was pleasantly surprised to find things weren’t that expensive. Our Merlin Pass did give us 10% off in the shops, but even so things weren’t badly priced to begin with. On the day we visited it was particularly cold and after getting a drenching on a couple of rides I would have paid through the nose for a pair of gloves to warm me up, but I got some for £3.59. Money which I was very happy to spend! We caught on to this a little late, in fact we were leaving the park when we spotted it, BUT there’s a nice cafe at the top which sells Starbucks coffee and stuff which is not your normal fast food fodder. We bought some nice muffins and hot drinks to have in the car on the way home. (5) You can take your dog… sort of! Fellow dog owners will know that one of the things that restricts a day out is how long you can leave your dog alone and if you (like us) live a couple of hours away it can be doubly difficult. Legoland do actually have kennels on site which you can either reserve in advance or pay for on the day. I didn’t get a chance to look at them and they are unmanned so don’t expect anything lavish, but if it means you can stay a little longer in the park, it’s an option that’s well worth knowing about.